Tanzania is an important partner country for us. 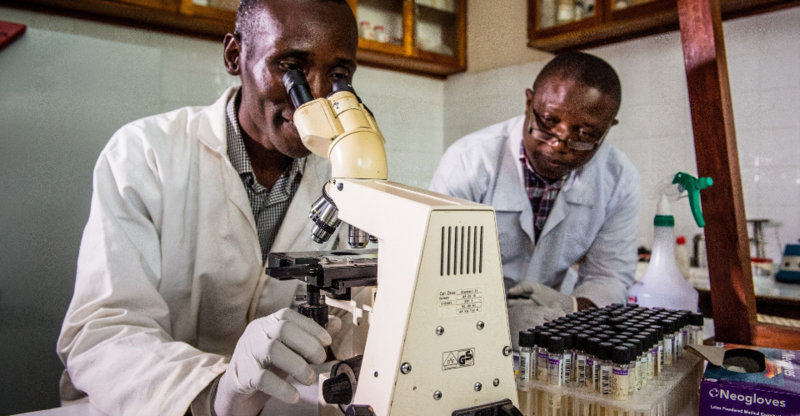 Since 2003, we have spent over EUR 17 million in cooperation with the country, including long-term Institutional University Cooperation (IUC) Programmes with the Sokoine University of Agriculture, the Mzumbe University (MU) and the Nelson Mandela African Institution of Science and Technology (NM-AIST). The two ongoing IUC programmes (with MU and NM-AIST) are the cornerstones of the Tanzania country programme. Alleviating financial barriers for women-owned enterprises in Tanzania Building resilience in rice based cropping systems in Sub-Saharan Africa (SSA) through an integrated approach Water requirements of Musa spp. : development of an AquaCrop model to adress water stress in banana-based cropping systems How to break the myth of albinism? The development and assessment of albinism related stigma reduction in Tanzania. Environment. Subthemes: Natural resource management; soils, land use and land degradation; eco-tourism; renewable energy; water sanitation. Health. Subthemes: Drug-resistant HIV; environmental health; databases; bubonic plague and zoocenoses rodents; diabetes. Food security. Subthemes: technology development; food quality. Business and entrepreneurship. Subthemes: Community involvement; linking with the industry; incubator development. Monitoring and evaluation. Subthemes: Public-private-unis-NGOs-FBO; NGO involvement. ICT and applications. Subthemes: ICT systems and administration; statistics and biostatistics; learning platforms development. Gender. Subthemes: gender mainstreaming; equal rights. Information management. Subthemes: library & information services management; access to research information and resources.